MADRID – A total of 67 million visitors visited Africa last year, with the north of the continent registering 10 per cent growth in arrivals, the World Tourism Organization (WTO) has said. According to estimates published Monday January 21 by WTO, sub-Saharan arrivals rose six percent and Middle Eastern arrivals rose 10 percent to 64 million. 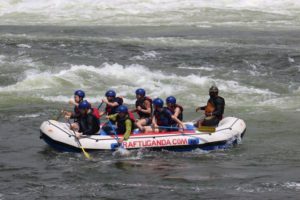 Internationally, tourist arrivals rose by 6 percent in 2018 to an unprecedented 1.4 billion mark. AFP reported that the WTO in 2010 had forecast that international tourist arrivals would only hit 1.4 billion in 2020. But the UN body headquartered in Spain now said that stronger economic growth, more affordable air travel and an easier visa regime around the world had helped boost the market. “The growth of tourism in recent years confirms that the sector is today one of the most powerful drivers of economic growth and development,” WTO secretary-general Zurab Pololikashvili said in a statement. 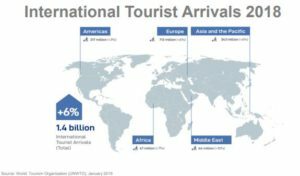 Citing economic growth and cheaper air travel as key factors, WTO said the increase in tourist arrivals was driven by travel to southern Europe, the Middle East and Africa. Although arrivals to the Americas grew by a modest three percent; and four for North America; Europe, Africa and Asia-Pacific performed better, with rises of six, seven and six percent respectively. Total arrivals to Europe were 713 million but the WTO noted that arrivals in northern Europe were flat last year, citing uncertainty over Britain’s impending exit from the European Union. The Caribbean suffered a drop of 2.0 percent in arrivals as it continued to feel the effects of the September 2017 hurricanes Maria and Irma that damaged tourist hotspots such as Barbuda, Puerto Rico and the Virgin Islands. The WTO predicted a global overall increase of between three and four percent for the current year, broadly in line with historical trends. Stable fuel prices would “translate into affordable air travel while air connectivity continues to improve in many destinations,” it predicted. However, WTO warned that uncertainty related to Brexit “as well as geopolitical and trade tensions may prompt a ‘wait and see’ attitude among investors and travellers”.